Job title, career, profession, occupation, etc. are some words that are essentially bound with employment. Although many people use these words interchangeably in a general sense, there is a subtle difference between each of these words. Occupation is a neutral and broad term that refers to any type of paid work. Job title is the specific name of the position held by an employee. This is the main difference between job title and occupation. 1. What Does Job Title Mean? 2. What Does Occupation Mean? 3. 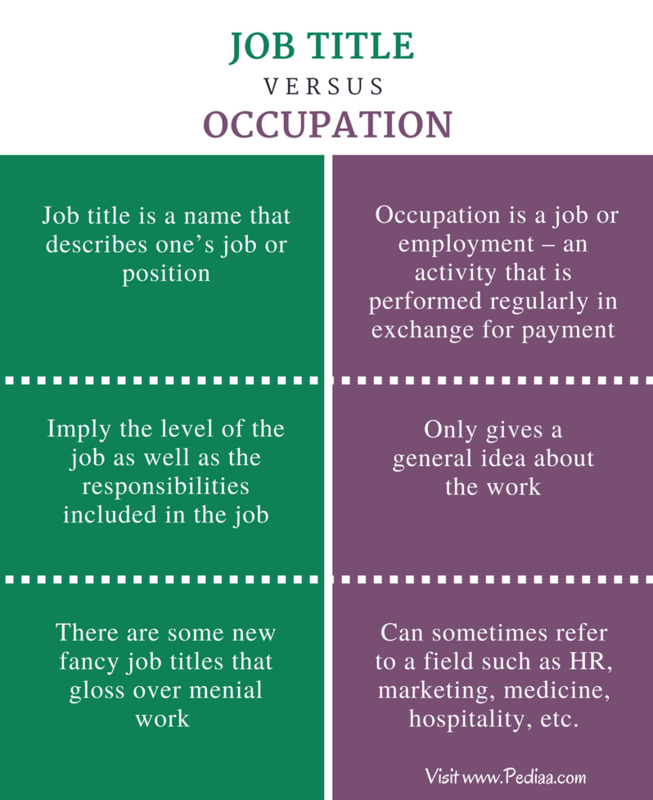 What is the difference between Job Title and Occupation? 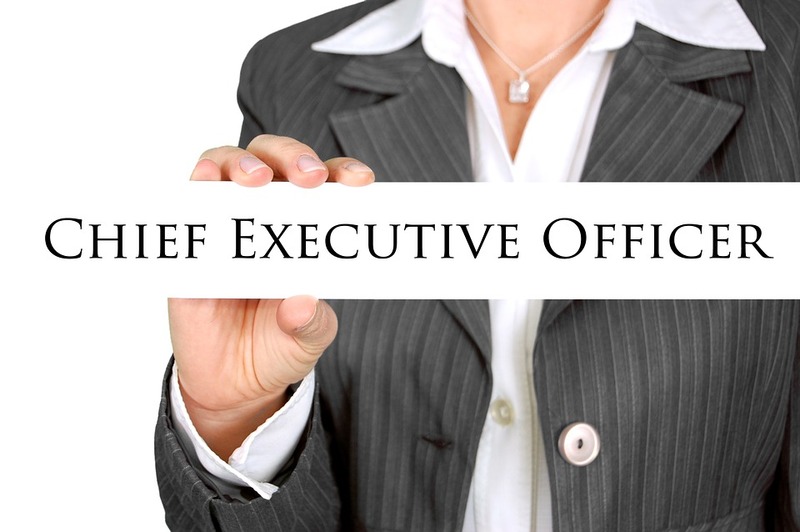 A job title is a name that describes one’s job or position. Job titles are more specific since they reflect the level of the job as well as the responsibilities included in the job. Social media specialist, Guest services coordinator, Mechanical Engineer, Software Developer, Marketing Executive, Chief Executive Officer, Web Developer, Software & Applications Developer, Assistant Cardiac Physiologist, etc. are some examples of job titles. Occupation refers to a job or employment. It is an activity that is performed regularly in exchange for payment. 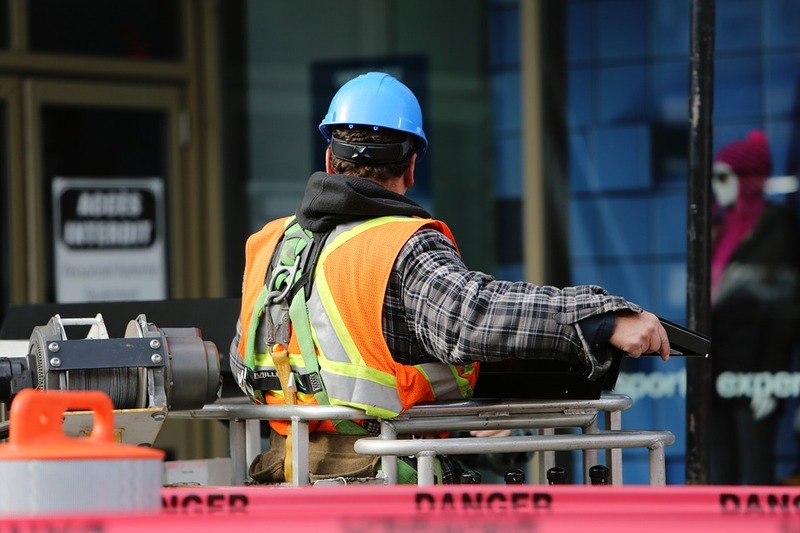 The word occupation is a neutral and broad term that can describe a number of jobs. Engineer, doctor, teacher, laborer, nurse, etc. are some examples of occupations. The occupation of a person gives a general idea about a person’s work. But it does not give a detailed description of the responsibilities or the level of the position. Sometimes the word occupation can also refer to a field such as HR, marketing, medicine, hospitality, etc. When searching for a job, it is always advisable to search by the name of the occupation rather than the job title. Job Title: A job title is a name that describes one’s job or position. Occupation: Occupation is a job or employment – an activity that is performed regularly in exchange for payment. Job Title: The job title can imply the level of the job as well as the responsibilities included in the job. Occupation: Occupation only gives a general idea about the work. Job Title: There are some new fancy job titles that gloss over menial work such as cleaning, washing, etc. Occupation: Occupation can sometimes refer to a field.